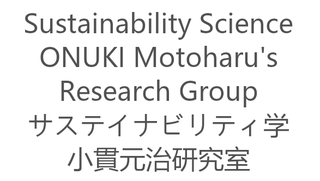 I have been studying competences and pedagogies of sustainability education and leadership education in higher education (especially graduate school level) through organizing a short-term experimental educational program for sustainability (Intensive Program on Sustainability (IPoS)). On the Basis of these experiences, I have been working to establish Graduate Program in Sustainability Science (GPSS) in the Graduate School of Frontier Sciences and have been involved in managing the GPSS and developing and improving curricula. I have been studying microbial community analysis of biological wastewater treatment processes (especially the enhanced biological phosphorus removal process) since I was a student (reference 2). Currently I am starting research on decentralized wastewater treatment systems in developing countries. I'd like to study resource recycling and resource-saving wastewater treatment system based on the local conditions.